The Royal Family have been out in force this week to show there support for communities ravaged by recent rioting in the UK. Today, Prince William and Kate, the Duke and Duchess of Cambridge visited Birmingham. The Royal couple arrived at Winson Green in Birmingham this morning and met with local residents and small business owners affected by the recent criminal behaviour. William and Kate also had a private meeting with the families of three men, Haroon Jahan, Shazad Ali and Abdul Musavir who were tragically killed by thugs who drove a vehicle at them in one incident. The three young men were simply protecting the property of their friends, family and neighbours from looting rioters, their funeral service took place yesterday and more than 20,000 people gathered to pay their respects. Earlier in the week Prince Charles and Camilla spent a day touring riot spots in London and Prince Harry visited Salford near Manchester. The Royal Family like the majority of people in the United Kingdom were shocked and deeply concerned to witness the riots unfold on television and through their charities they are trying to do what they can to help but they also felt the need to get out and about to meet the actual victims. This sincere gesture seemed to be genuinely appreciated by those they met. Prince William and Kate arrived back in the UK on Monday morning after an immensely successful royal tour of Canada and royal visit to California USA. The Duke and Duchess of Cambridge had an extremely busy schedule for the majority of their 11 day trip only taking a couple for days out for themselves to enjoy privately. 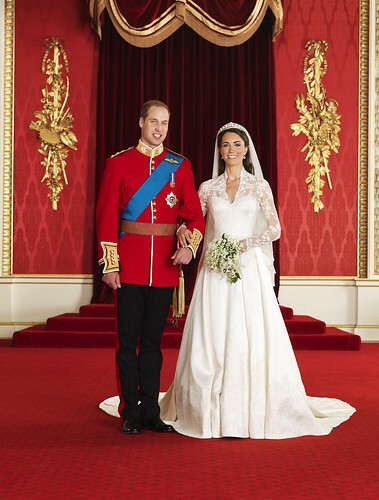 The Royal couple have been superb ambassadors for the United Kingdom promoting British businesses, arts and charities. It has been incredible how the Canadians and Americans have welcomed William and Kate into their hearts and minds. Now the William and Kate will return to quiet and much more private life the couple lead in Anglesey where Prince William will resume his role as an RAF Search and Rescue pilot. It has been an exceptionally busy year for them, ever since the Royal Wedding was announced towards the end of last year. The Royal Wedding seems a long way off now and for the last leg of the 9 day Royal Tour of Canada, The Duke and Duchess of Cambridge arrived at Calgary in the Province of Alberta. On arrival Prince William and Kate were greeted by local dignitaries but the most touching moment was when Diamond Marshall, a six year old girl who has advanced cancer ran up to Kate and wrapped her arms around the Duchess. It was a magical moment for both of them and no doubt for countless other people watching. The Royal couple were presented with cowboy boots and 10 gallon hats which they wore and for most of their visit to Calgary were dressed much more casually in jeans and chequered shirts. Canada has far surpassed all that we were promised. Our promise to Canada is that we shall return." Prince William also once again paid tribute to Canada's military and its role in Afghanistan. William and Kate's trip to Calgary coincided with the Calgary Stampede, an annual rodeo, parade, exhibition and festival which is known as 'The Greatest Outdoor Show on Earth' and which attracts over one million visitors per year. After launching the Calgary Stampede, the couple visited Calgary Zoo for a reception hosted by Alberta Premier Ed Stelmach who highlighed some of the research, particularly aimed at protecting the environment, taking place in the province. Then on Friday afternoon the royal couple flew to California in the USA for a their three day visit. The Duke and Duchess of Cambridge arrived in Quebec City yesterday for the fourth day of their Royal tour of Canada. The Royal couple sailed from Montreal to Quebec City along the St. Lawrence river on HMCS Montreal. William and Kate joined the sailors from the ship for a church service today where their visit was praised by the Anglican Bishop of Quebec. Next on the tour for the Duke and Duchess of Cambridge are Charlottetown and Summerside, Prince Edward Island. It's was a busy first day in Ottawa for the Duke and Duchess of Cambridge at the start of their Royal Tour of Canada. The Royal couple were well received and made a great impression. This video of William and Kate's first day covers some of the highlights. Prince William and Kate are on their way to Canada! Prince William and Kate boarded a Canadian Forces plane earlier today at Heathrow Airport and are now on their way to Ottawa for the start of their 9 day Canadian tour. After which they will visit California in the USA. The Duke and Duchess of Cambridge are 'touring' Canada as oppose to 'visiting' the USA because Canada is part of the Commonwealth, in other words it is because Queen Elizabeth II is the head of state for Canada. William and Kate will travel to Quebec, Prince Edward Island, The Northwest Territories and Alberta before leaving for the US on the 8th July. When this Royal tour was first agreed last year, Prince William was not married and since the Royal Wedding on 29th April 2011 much has changed. The main change of course is the raised level of international interest in the Royal couple. To put it into perspective, when The Queen visited Canada in the Summer of 2010 there were just 20 international journalists accredited to cover the tour. More than 1,300 journalists have been accredited to cover this Royal tour of Canada by The Duke and Duchess of Cambridge. More to follow once the Royal couple have arrived in Canada. It has been a busy weekend for the Duke and Duchess of Cambridge with the Trooping of the Colour and the Duke of Edinburgh's 90th Birthday. Yesterday (11th June) saw the Royal couple Prince William and Kate attend the Trooping of the Colour which happens every year to mark the Queen's Official Birthday - the Queen's actual birthday is on 21st April when this year she was 85. This was the first time that Prince William took part, he was on horseback during the parade because he is also Colonel of the Irish Guards. Kate arrived in a carriage with Prince Harry. Later, the Royal family including Prince William and Kate watched RAF planes fly past overhead from the balcony at Buckingham Palace. William and Kate looked like they were enjoying themselves, laughing and joking with one another. Whilst today the couple joined the rest of the Royal family at a thanksgiving service to mark the Duke of Edinburgh's 90th Birthday. Prince Philip was 90 on Friday 10th June 2011. The service today took place at the chapel in Windsor Castle and preceded a lunch for some 750 guests which was then later followed by a charity Polo match in which Princes William and Harry played on opposing sides. The match was played in aid of disadvantaged African children. William's team one the match!